The proof piles up: complementary medicine can change your life. 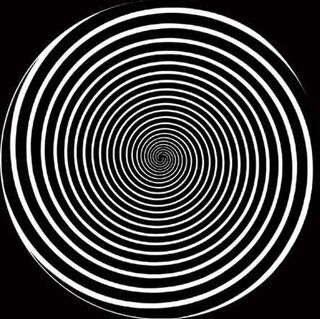 Hypnosis isn’t all powerful – but it can sure make your life better. A recent article in the New York Times gave an example: a middle aged woman suffering a debilitating illness, facing the fear of surgery. She undergoes four hypnotic sessions at the Cleveland Clinic’s Center for Integrative Medicine. The result—a calm surgery and speedy recovery. The reintegration of hypnosis into society is part of a bigger societal transformation. Indeed it is the forerunner of a more complete and wholesome methodology of care: a revolution of mind-body and integrative medicine. It’s catching on like wildfire – with some of the biggest and best hospitals offering integrative medicine focused on mind-body techniques akin to hypnosis. Among them: Stanford Hospital, Beth Israel Medical Center, and Mount Sinai Medical Center. In recent years, integrative medicine has seen greater credibility and wide-spread acceptance as research proves its efficacy. Its selling point for many: It’s a combination of conventional treatments combined with complementary and alternative treatments. The numbers are staggering. In the United States alone, thirty 38 percent of adults and 12 percent of children use some form of complementary and alternative medicine. Otherwise known as CAM, practices such as biofeedback, dietary supplements, naturopathy, acupuncture and many others are included under its umbrella. Some of the latest research confirms the significance of utilizing Complementary and Alternative Medicine for mental health issues and conditions of chronic pain. 1) The pesky and putrid smelling fish pill: Yep! The latest CAM related evidence-based research validates the efficacy of utilizing Omega-3 Essential Fatty Acids in the prevention and treatment of psychiatric disorders. Particularly for bipolar disorder and depression, the meta-analysis showed that higher amounts of Omega-3, found in fish, seafood and in some eggs and flaxseeds or in a supplement pills had statistically significant benefits for those suffering from bipolar and depression. 2) Relax your mind: The latest research related to CAM therapies reveals that mindfulness based meditation over a period of time results in significant quantifiable changes in the brain areas involving memory, learning, and emotional control centers. Mindfulness meditation, focused on breathing and present-centered awareness, is said to increase regional brain grey matter density; thus helping memory, learning and emotional control. This research adds to previous research suggesting the benefits of mindfulness for anxiety reduction, alleviation of depression and non-pharmacological interventions for chronic pain sufferers. 3) Small Needles Meticulously Placed May Help Trauma: The results from a randomized control pilot study suggest the benefits of the CAM therapy of acupuncture on people diagnosed with Post-Traumatic Stress Disorder (PTSD). While more research is needed to confirm, initial findings suggest that acupuncture with PTSD diagnosed patients provides benefits similar to cognitive behavioral group therapy work. Research found symptom reduction to last at three month check ups; leading researchers to suggest acupuncture as a possible effective non-exposure based therapy for PTSD; more research is necessary to replicate findings. Complementary and Alternative Medicines are far from new: however they only now just now being recognized as valid in the western practice of medicine. It provides “fertile ground” for research and treatment modalities as changes in western lifestyles have caused a steady decline in the mental and physical health conditions of large percentages of people. “We need to build a world-wide understanding of mind-body health, because the western illnesses of lifestyle are rapidly becoming global illnesses,”world-renowned mind-body specialist and Director of Saybrook University’s College of Mind-Body Medicine, Donald Moss aptly states. From hypnosis to meditation to acupuncture, complementary and alternative medicines are the wave of the future. Whether integrated with current allopathic treatment remedies, or used separately, they provide real hope and real help for widespread mental and physical illnesses that ravage entire communities.